Stdwoodworking... Setting a higher standard of craftsmanship! On behalf of the St. Dimitrie Woodworking Academy, welcome to our website. This is a school that teaches a special skill of woodcarving in cross making. There is no substitute for woodcarving, but sometimes a computer helps me make my crosses (CNC). All things I know about this, I learned myself or I was taught for free. My spiritual father likes to quote Matthew 10:8 when he says, "You have freely received, so freely give." So in that spirit, tuition is free. Throughout this website, you'll see many demonstrations hidden in links (any time you see a word underlined, please click on it). If you don't have time to carve crosses yourself, we can carve one for you. If you'd like to build a CNC milling machine, please click the link in the Orthodox Crosses section. 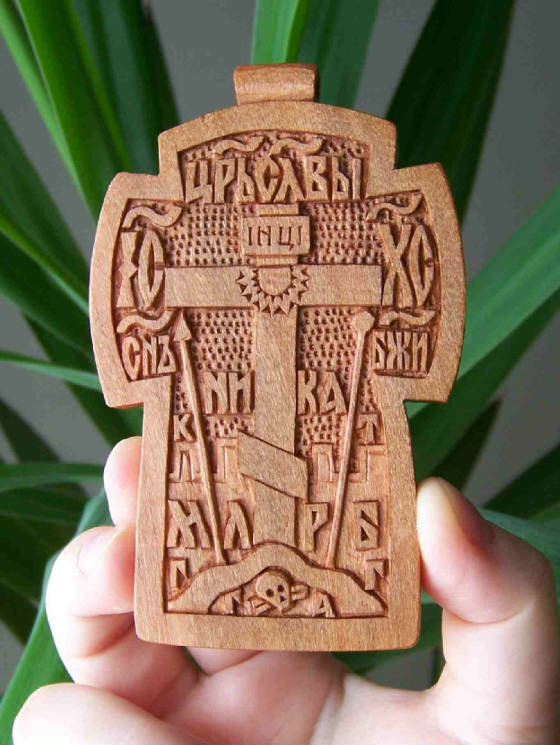 We offer some of the most beautiful designs of Orthodox Christian wall crosses and pectoral crosses made from quality hardwoods. These timeless designs come from many different Orthodox countries, but they are made in America. There is honesty in the craftsmanship here. None of these items are made from an inexpensive wood stained to look like a quality hardwood. Our crosses are cut or carved from cherry, oak, limewood, or maple and then finish them with clear polyurethane to accentuate the wood's natural beauty. Please feel free to browse this website and do not hesitate to contact us if you have any questions or suggestions. If you are interested in carving crosses like these, you'll find there much useful information for you here too. We sell our products through Etsy And E-Bay. Please check out our Etsy Store Link - Items for Sale. Without God, there is nothing.